It’s All About Having Fun and Catching Fish! Less travel time, more fishing memories. You can also expect breath taking scenery and fantastic chances to view and photograph the amazing wildlife in the area. Dolphins, Manatees, Ospreys & Bald Eagles are all regular sights on our adventures. Here in Southwest Florida, we are blessed with one of the most amazing inshore fisheries in world, and we make the most of it! Tarpon, Snook, Redfish, Sharks, Inshore, Nearshore There’s Always Something Biting! Because the waters of Florida’s Gulf Coast are so diverse, it is almost too easy to find any number of exciting fishing opportunities. Even during the coldest months & windiest days there are literally dozens of species that we can catch in the protected backwaters. When the weather is beautiful the opportunities are endless, from fishing off of the Gulf Coast beaches to targeting Tarpon in the World Famous Boca Grande Pass. 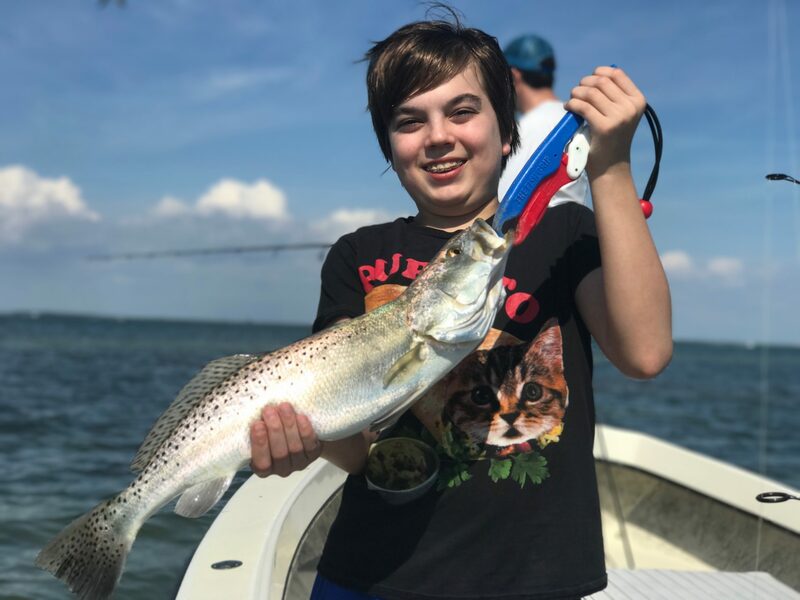 We specialize in Family Trips & Fishing with Kids, but even the most experienced anglers are often amazed and the number and quality of fish that we find. During our amazing Tarpon Fishing season, we target them from the bays and beaches to all the way up the river. We have all the Seatrout you can catch, Light Tackle Redfish on the flats and mangroves, and Monster Snook everywhere, all just minutes from the dock! Don’t hesitate! Call Captain Shawn Kelly at (239) 677-7929, he would love to answer any questions you may have!